I need help to add castle animation entrance in a custom level,how can I do this? 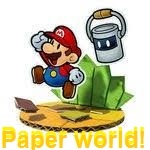 Paper Mario is The Best! And if you just want the castle intro from the original game before you enter your custom level, select in lunar magic, choose FG/BG GFX 1. After that you need to select Level->Change Other Properties... in the toolbar and uncheck Disable "No Yoshi" Level Intro (if applicable). I found this interesting block recently, basically if you touch it then Yoshi will disappear when you access the next room (screen exit). From then on you play the level without Yoshi, but when you die or complete, otherwise exit the level, you will retain that Yoshi you had before you went to the next room. Remove Yoshi upon entering a room by zacmario. Thanks! My entrance to a castle (but the level does not start at the castle) leading to an airship is working!